20 years ago, when the HandyPerson service started, Homebase kindly donated a shed to store our tools. 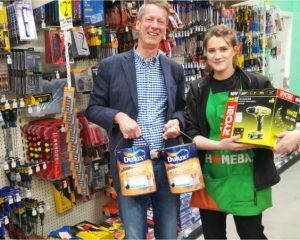 In celebration of our birthday and to help us out after our electric drill died, they again stepped in with a donation of a new electric drill and some paint. THANK YOU Homebase!